HALEAKALA NATIONAL PARK, Hawaii (AP) — U.S. prosecutors are considering charges against two people seen taking rare, federally protected silversword plants found only on a mountain in Hawaii, authorities said. 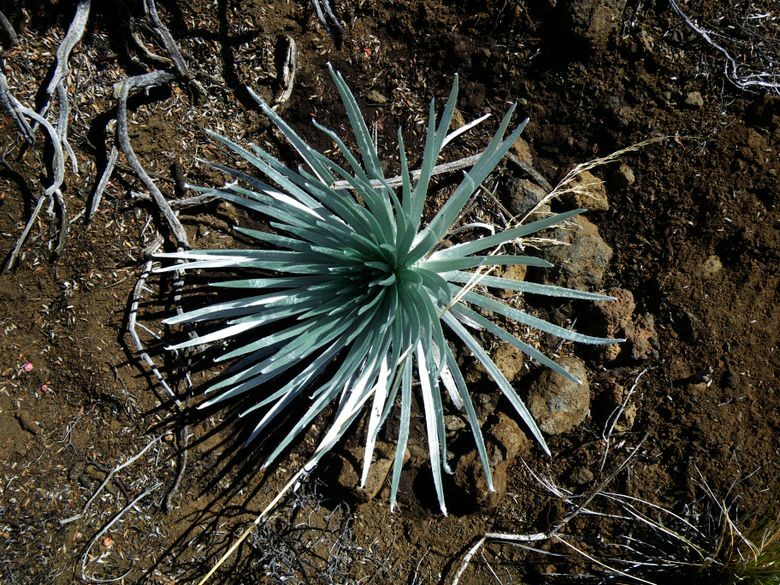 A visitor to Haleakala National Park reported seeing a woman taking two Haleakala silversword plants (ahinahina in Hawaiian) from the ground Monday and leaving in a vehicle, the National Park Service said in a news release. The plants are found only on the slopes of Maui’s Haleakala at altitudes above 6,900 feet (2,100 meters). The plant is listed as threatened, and removing or damaging it is a federal crime. The witness took a photo of the car and alerted park law enforcement officers. The woman and driver were apprehended with the plants in Paia, a town about 24 miles (38.62 kilometers) from the park. They were released pending further investigation, park Chief Ranger Ari Wong said. Wong said there are about 40,000 of the plants on the mountain. With its fleshy leaves, the silversword can live from three to more than 90 years. It flowers once, sending up a long stalk, and then dies. Signs throughout the park inform visitors that the plants are rare, Wong said. The park service’s website says visitors ripping the delicate plants from the ground and taking them home has been a problem in the past. But Wong said he couldn’t remember the last time it was done by a visitor. Among other things, park staff members “destroy non-native plants that would crowd out silverswords, and educate park visitors to stay on trails to avoid stepping on fragile silversword seedlings and root systems,” the website says.